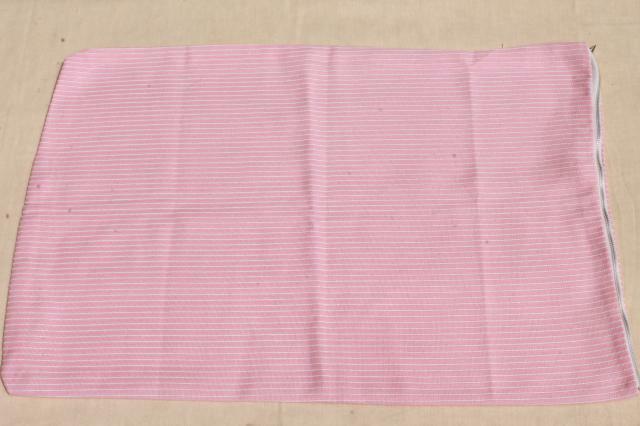 70s vintage 'tough cord' type sturdy cotton polyester blend pillow shams with zipper closures. 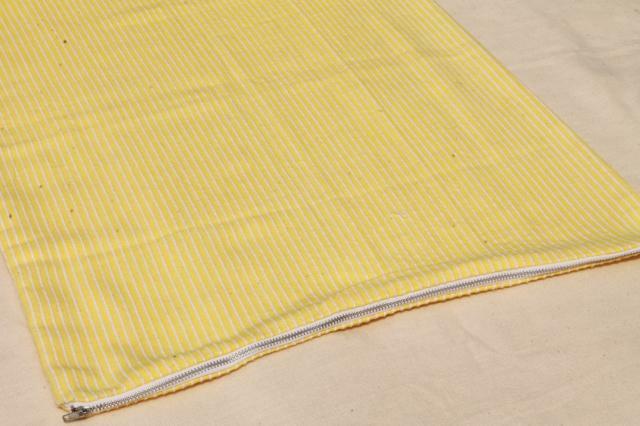 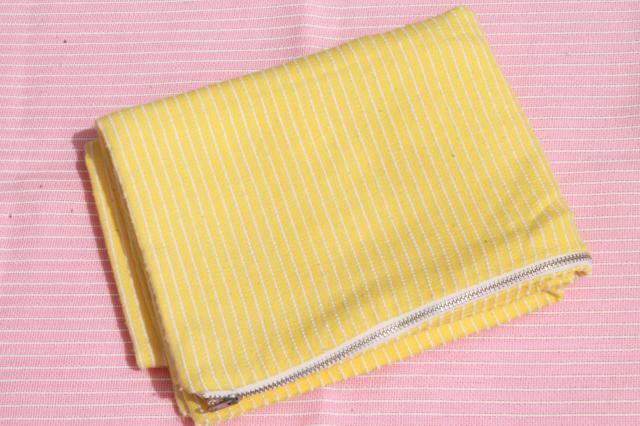 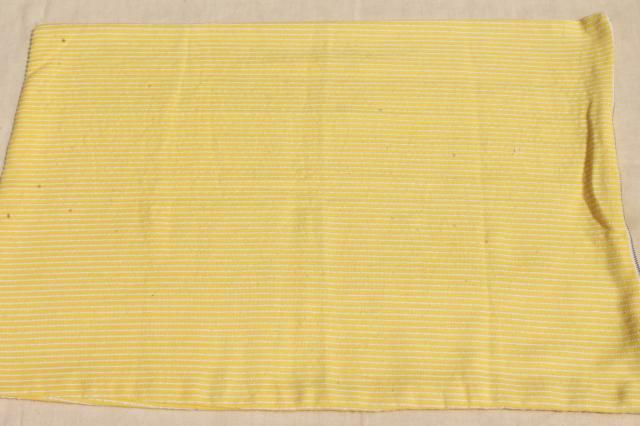 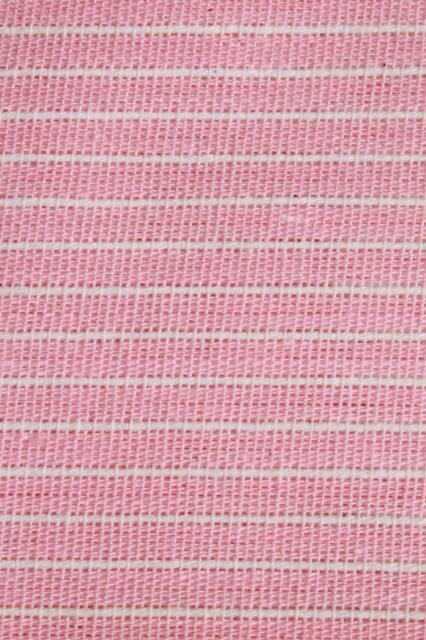 We love the colors - one candy pink and one sunny yellow, both with woven white striping. 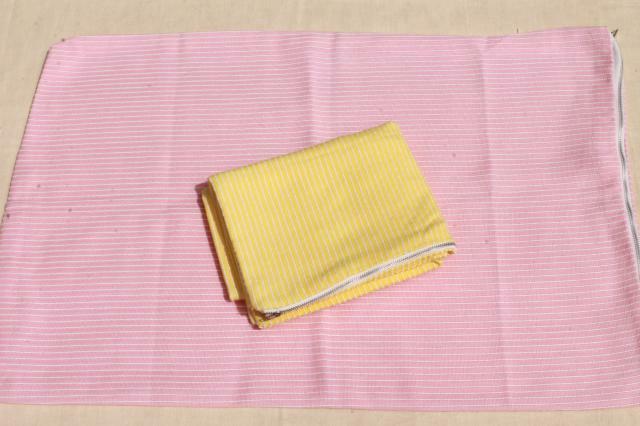 Size is 18" x 25", and condition is excellent, never used or laundered, nice and bright.